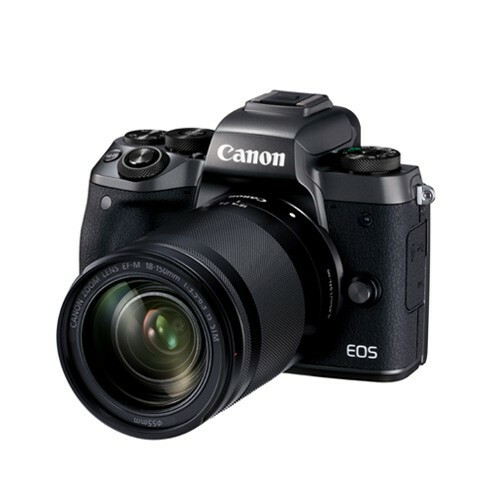 EOS M5 digital camera that combines the merits of EOS M series’ compactness with advanced EOS imaging technologies, including a high-speed “Dual Pixel CMOS AF” (DAF) first seen on an EOS M camera, a built-in high-resolution electronic viewfinder and a new DIGIC 7 digital image processor to realize fast and accurate framing, focusing and shooting, redefining the standard of mirrorless cameras. The incorporation of a host of new technologies and features that further enhance operability such as a “Touch and Drag AF” for intuitive focusing, a “Combination IS” for smooth movie result and Wi-Fi/NFC/Bluetooth wireless connectivity helps facilitate speedy capture of moments with high-quality photos and movies. 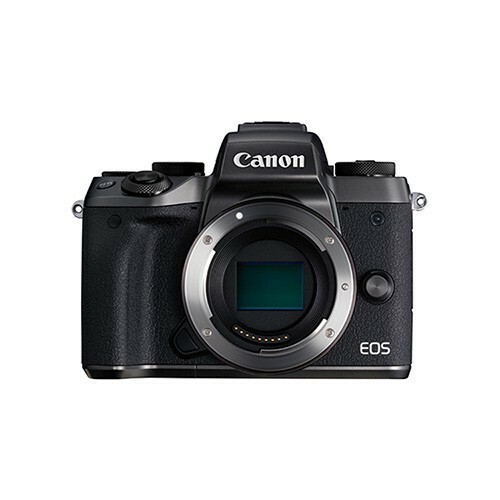 EOS M5 features a high-speed “Dual Pixel CMOS AF” (DAF) same as high-end EOS cameras to bring drastic improvement in focusing performance in terms of speed and accuracy. The advanced DAF technology employs a revolutionary CMOS sensor on which all effective pixels1 are able to perform both image capturing and phase-difference AF to achieve dramatically improved AF speed and tracking performance. Covering a wide AF area of approximately 80% of the frame, DAF ensures easy and sharp capture of subjects at any position as well as fast-moving subjects and brings greater framing flexibility. In addition to fast and accurate AF for photo shooting, DAF also brings smooth and precise Movie Servo AF to all movie recording formats and is compatible with all autofocus EF lenses. 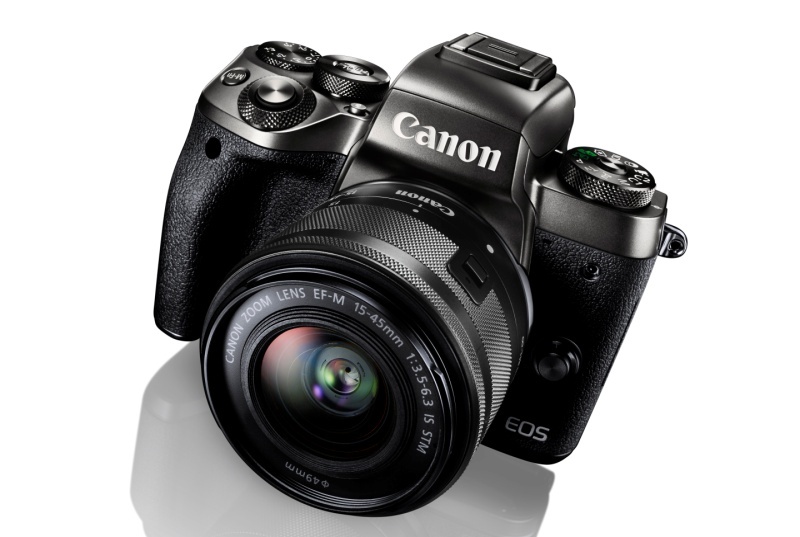 Containing the fruits of EOS System technology in a compact body, EOS M5 incorporates a 24.2-megapixel APS-C type CMOS Sensor with gapless microlens technology for strengthened light-gathering capabilities, offering high resolution to reproduce highly detailed images and facilitate trimming in post-production. Coupled with a new DIGIC 7 digital image processor that offers in-camera RAW image processing, vivid and delicate images can be achieved. 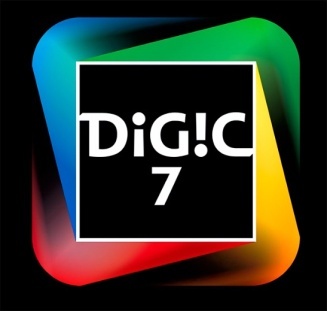 Furthermore, DIGIC 7 brings faster and more responsive focusing performance. Subjects in low saturation or similar colors to the background can be detected with high precision even in low-light environment, while improved AF tracking performance ensures accurate tracking of fast-moving subjects such as kids, pets or sports scene. Benefited from the ultra-fast data processing speed of DIGIC 7, EOS M5 supports quick start-up time in a mere 1 second2, up to 9 fps high-speed continuous shooting in full resolution and a wide standard ISO range up to ISO 25600, meeting the needs of shooting in different scenarios and subjects, from traveling, pets, sports, nightscape to dim indoor environment. With the camera’s responsive performance, users can capture every fleeting moment in life with high-quality images effortlessly. 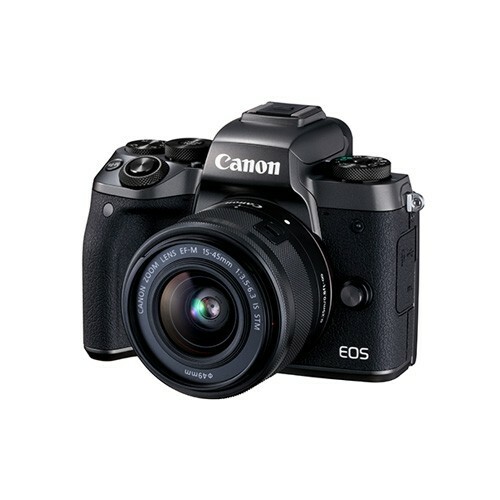 For the first time in an EOS M camera, EOS M5 is equipped with a new 0.39” 2.36M-dot high-resolution electronic viewfinder with approximately 100% coverage, empowering users to shoot with confidence with detailed and bright display throughout the entire visible area that exhibits a wide variety of color gamut and high contrast to reproduce the same brilliant colors and rich gradations as one will see in the final photos. 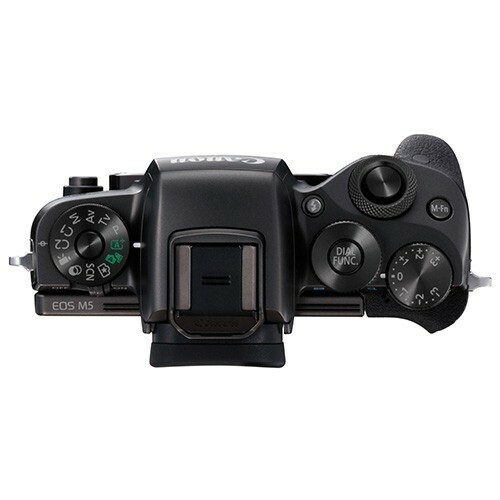 Key shooting information such as shutter speed and ISO are shown in the viewfinder and auto orientation is supported. 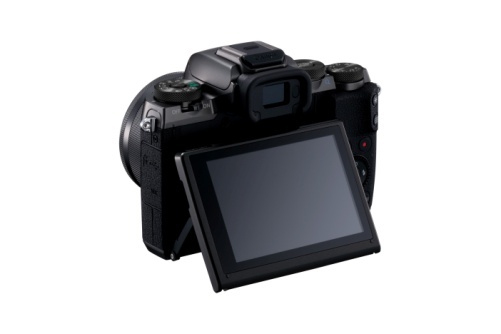 A built-in eye sensor that enables auto switching between the viewfinder and LCD monitor adds user-friendliness to frame and shoot. With the viewfinder built right above the optical axis, comfort in operability as well as stability when shooting on a tripod are ensured. 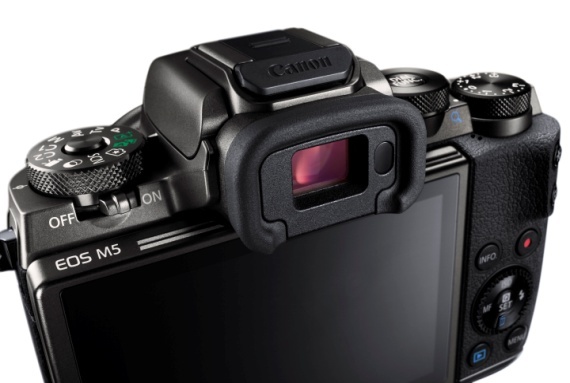 When shooting with the viewfinder, the new “Touch and Drag AF” function enables you to drag the focusing position by moving your finger on the LCD monitor while confirming the focusing position in the viewfinder in real time, guaranteeing an easier and more intuitive focusing experience. 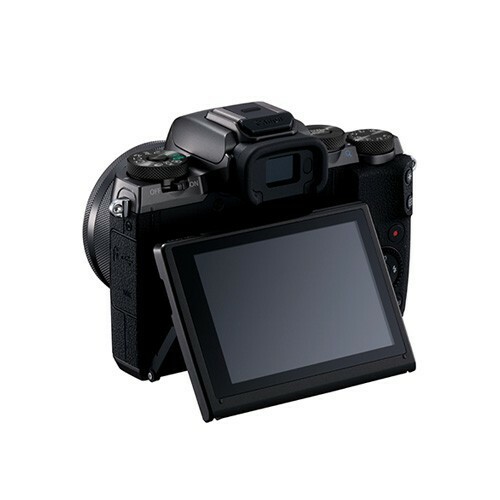 In addition, a new 3.2” 1.62M-dot vari-angle capacitive type touch LCD monitor which can be tilted up 85° and down 180° offers extra convenience for self-portraits, high or low angle shooting as well as a high level of framing flexibility to explore more creative angles. 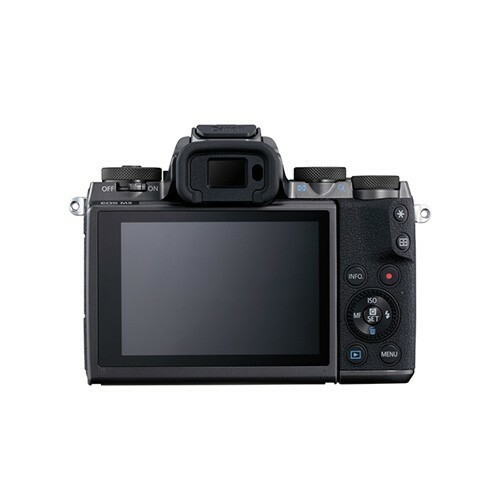 Simply with a touch on the LCD monitor, users can select functions and adjust settings from the menu, or select the subject to focus and shoot. Multi touch capabilities such as "pinch-to-zoom" and "swiping" to scroll between images during image playback are also supported, facilitating easy shooting with intuitive touch operation. 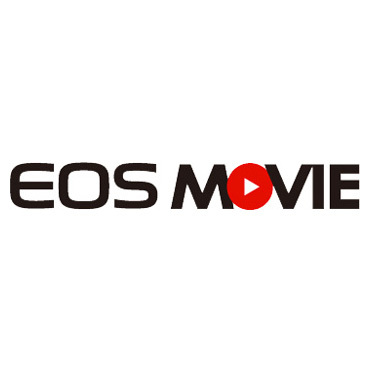 EOS M5 supports full manual 50p/59.94p Full HD (1920 x 1080) EOS Movie shooting. 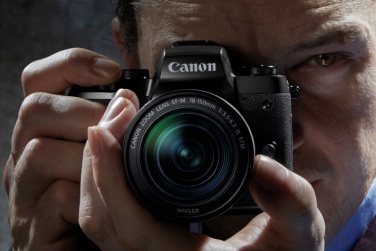 The ability for full control of focus and exposure by manually changing shutter speed, aperture and ISO speed facilitates easy creation of more professional imaging expression with maximized flexibility. Full HD EOS Movie in frame rates of 23.976p and 29.97p are also supported to meet the needs of shooting with different subjects and topics. 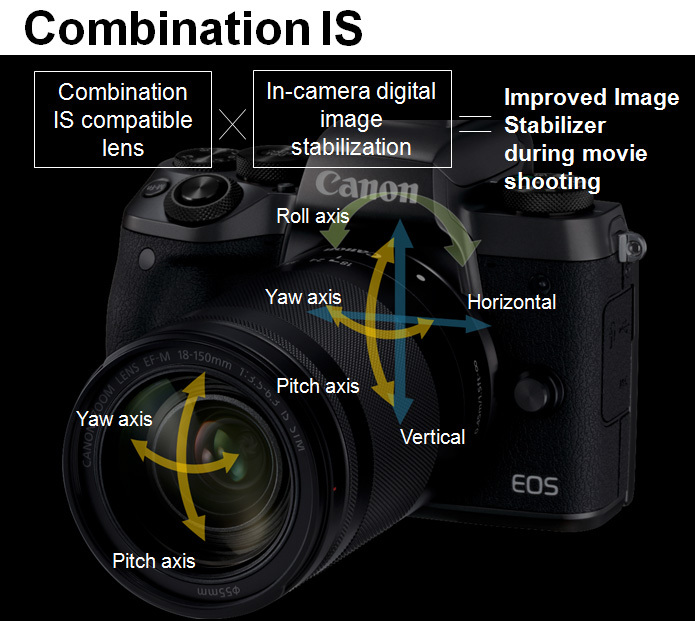 For enhanced movie shooting stability, EOS M5 incorporates a new “Combination IS” which is a collaboration of the in-lens3 2-axis IS technology and the in-body 5-axis IS technology to ensure steady and smooth movies in scenes where camera shake is obvious, such as shooting while walking. In addition, EOS M5 features a built-in stereo microphone and supports 3.5mm external stereo microphone input for easy creation of high-quality movie with both fabulous sound and visual. A new Time-Lapse movie shooting mode4is also featured for easy creation and sharing of creative fast-motion movies without the need of post-editing. It is ideal for condensing the progression of slow-moving subjects, such as the record of plant growth, streams of car lights, flowing clouds and the changing cityscapes from day to night. EOS M5 offers multiple wireless connection options for easy shooting and image sharing. 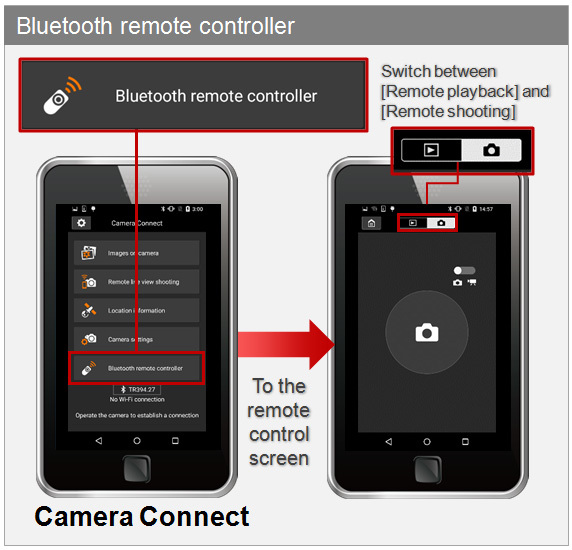 With the newly supported Bluetooth low energy technology, users can enjoy a more stable connection with smartphone for remote shooting5, making it more convenient to take self-portraits or group photos, or explore more creativity by shooting from high or low angles. 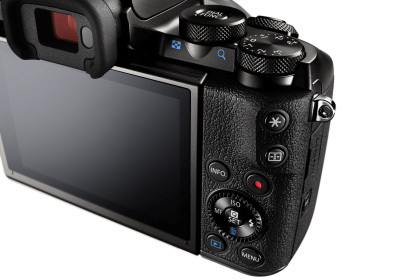 Alternatively, EOS M5 can be connected to a smartphone via Wi-Fi/NFC6 connectivity and Camera Connect smartphone app for remote live view shooting. Upon connection, users can enjoy live view on the smart device, control various camera functions, take and review photos. This connectivity also facilitates easy browsing and transfer of photos and movies to smartphone7, as well as image sharing to social networking sites such as Facebook or YouTube. 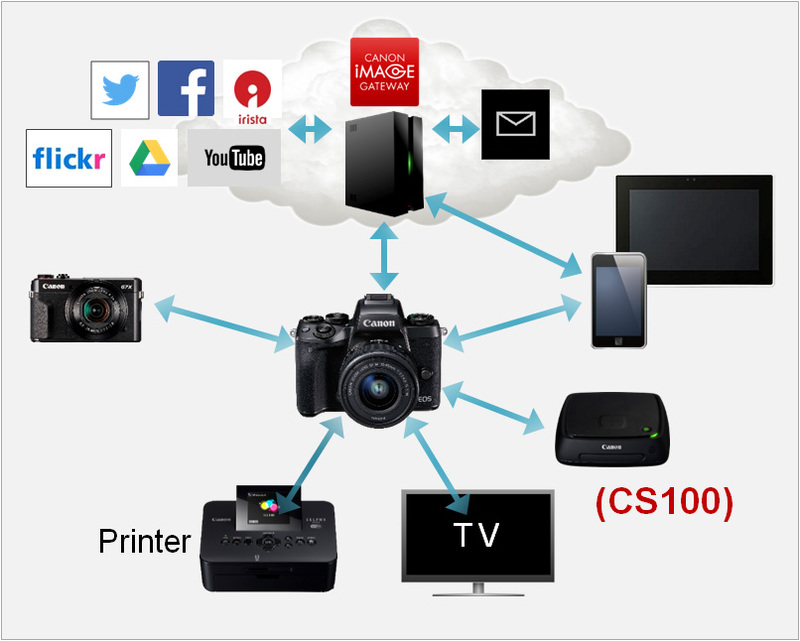 Images can also be printed directly through wireless connection with printers that support PictBridge (Wireless LAN) technology. With the GPS function from smart devices8, accurate GPS data reception can be guaranteed after turning on the Camera Connect app on the smart device. 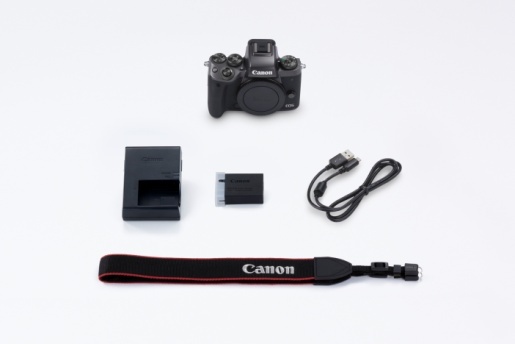 Connect the camera to the smart device after shooting, GPS data including shooting location and time will be transferred and combined with the images, allowing easy image review or creation of travel blog. 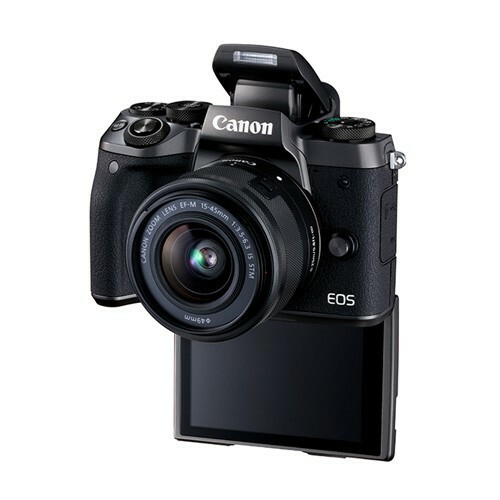 The compact and lightweight EOS M5 measures just 115.6 x 89.2 x 60.6mm and weighs only 380g (body only), providing the advantages of both compactness and quality. 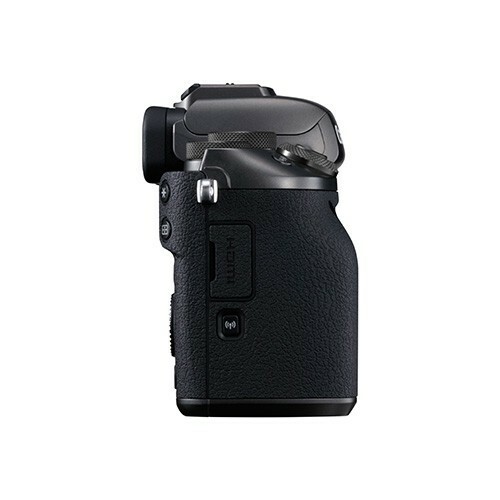 It is equipped with multiple mode dials and control ring function to meet the shooting style of advanced users, making quick change of shooting modes and settings possible without the eye leaving the viewfinder. 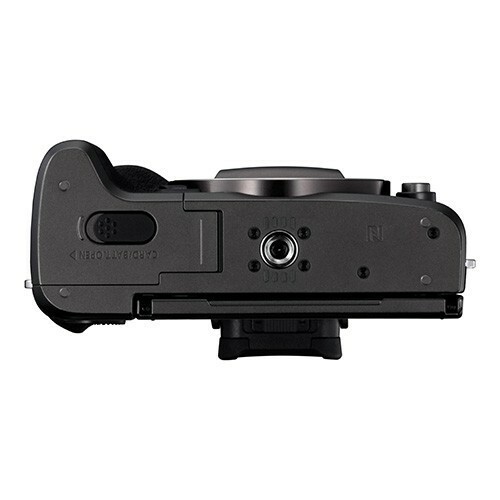 The control ring also supports customizable functions including aperture value, shutter speed and ISO based on individual preference, delivering expert control and flexibility comparable to EOS cameras. 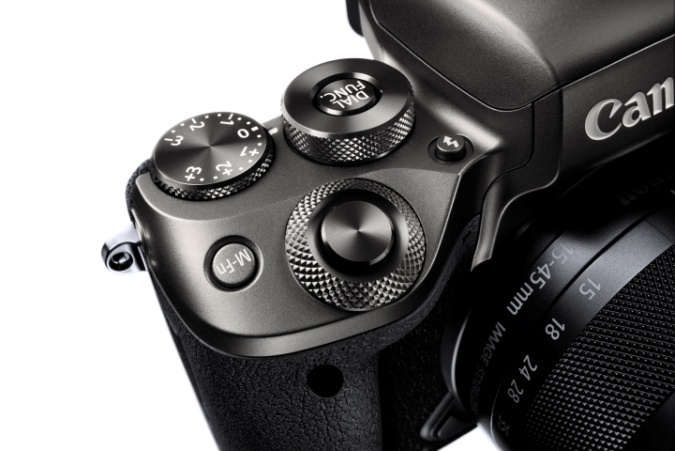 A range of features designed to optimize shooting process and result is also featured. A Peaking function is included to facilitate manual focusing by indicating the area in focus with a colored box, ensuring faster and more precise focusing performance especially useful for macro and portrait shots; while a new Panning mode9 facilitates sharp capture of the foreground moving subject in a panning shot. EOS M5 is highly expandable and compatible, supporting a range of lenses and accessories for expanded creativity. Users can choose from a wide range of dedicated lightweight and high-performance EF-M lenses including prime lens, wide-angle, standard and telephoto lenses to meet different needs. 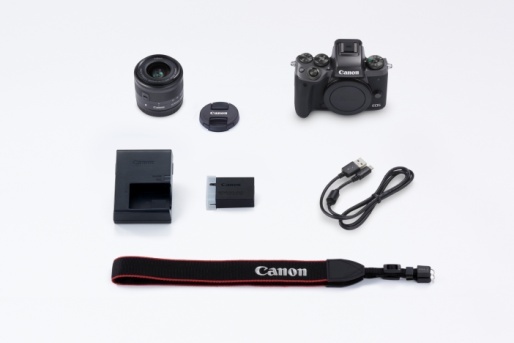 In addition, by attaching Mount Adapter EF-EOS M, the camera is compatible with over 60 EF/EF-S lenses, including the specialized macro and fisheye lenses for more varieties of expression. 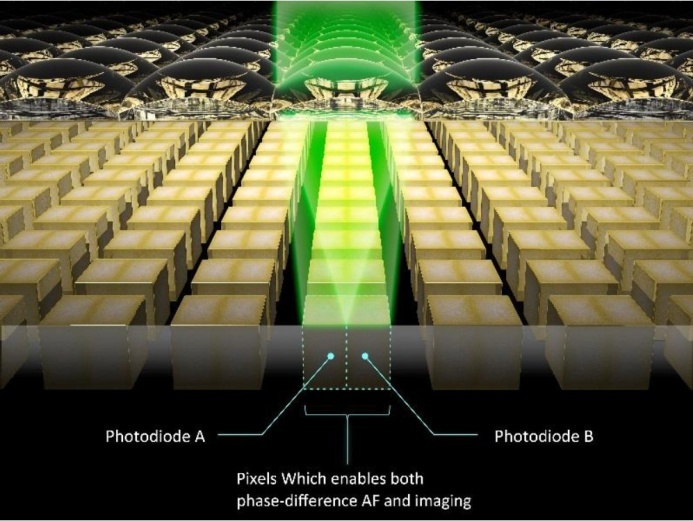 Functions like autofocus and image stabilization of the lenses will also be retained. 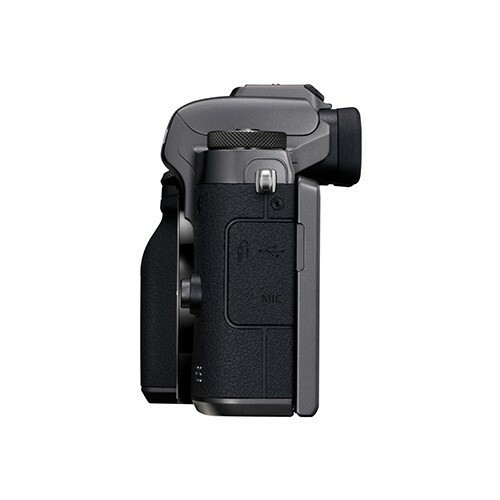 This gives users greater flexibility to pair the camera with a right lens according to the shooting situations. EOS M5 is also built with a hot-shoe which supports the full line-up of external Speedlite flashes to create versatile and professional studio lighting effects. The Bluetooth® ; word mark and logos are registered trademarks owned by Bluetooth SIG, Inc. and any use of such marks by Canon Inc. is under license. Other trademarks and trade names are those of their respective owners. All copyrights reserved. Canon Hongkong Company Limited.